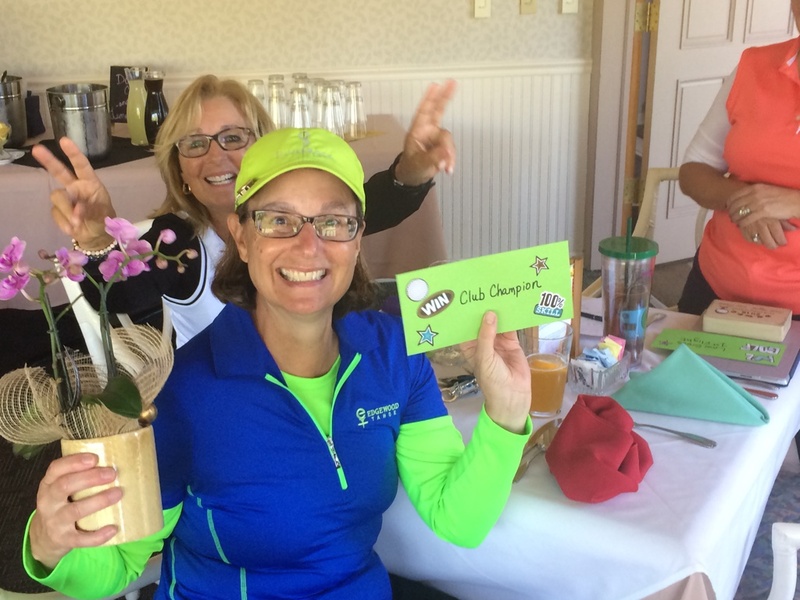 First of all, Thank you to all the ladies who played in the 2016 Club Championship. We had 10 ladies and we had two flights. 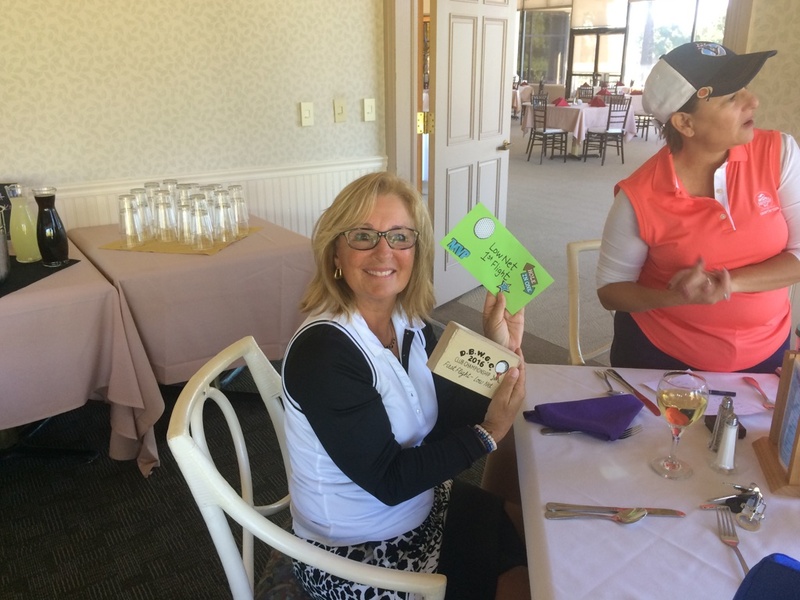 Our overall LOW GROSS WINNER IS……. 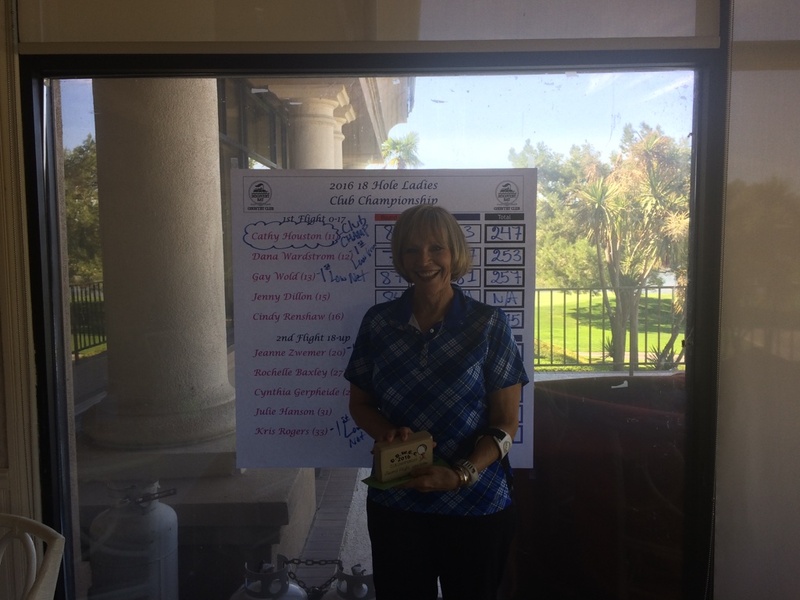 CATHY HOUSTON WITH SCORE OF 247. 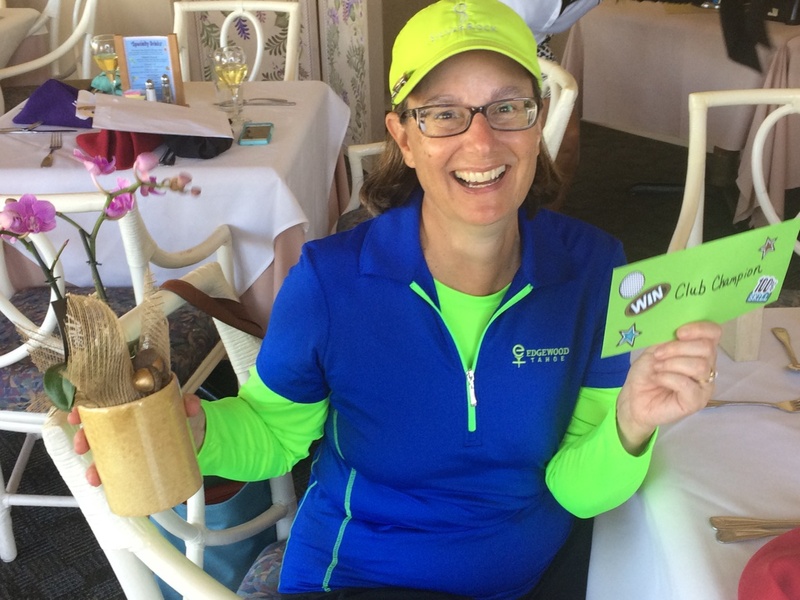 She had three days of consistent golf She’s got game! First Flight Low Net – Gay Wold with a total Net score of 218. 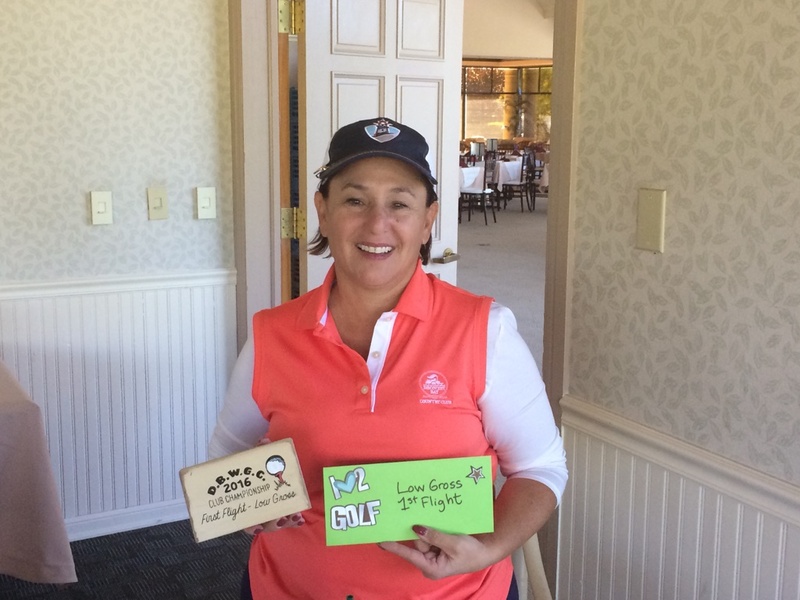 Second Flight Low Net – Kris Rogers with a Net score of 242. (No photo – had to leave early). I hope everyone had a great time and I hope your ball marker brings all good luck.